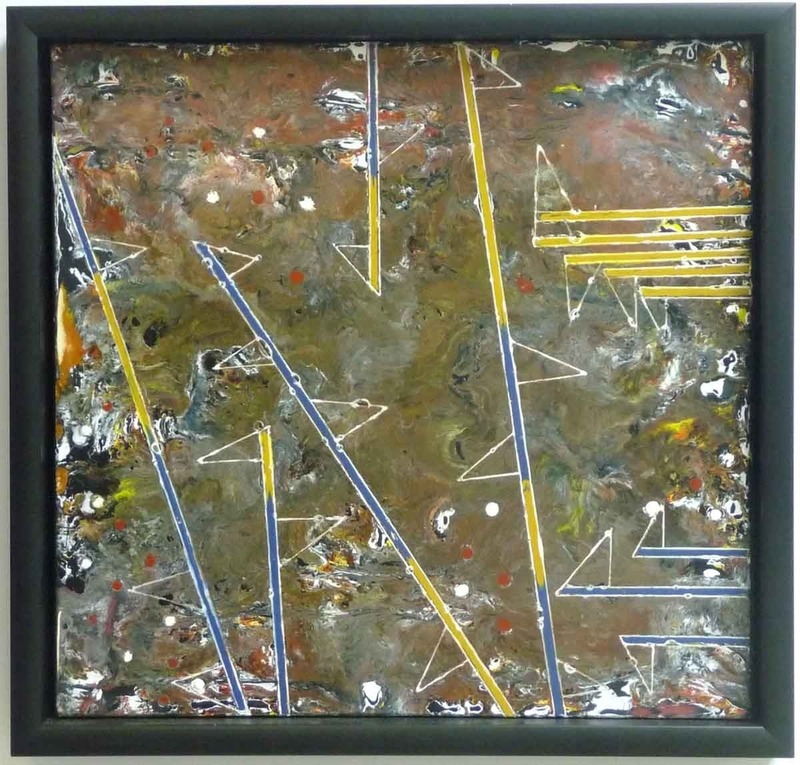 This Encaustic painting on masonite board uses beeswax, damar resin and pigment. The wax is melted and applied to the surface then fused to create the visual effects. The colors are vibrant and brilliant and will not deteriorate, yellow or darken. Encaustic paints are extremely durable, being resistant to moisture, mildew and mold. There are many layers of color and wax giving the painting depth and a sculptural texture. 12" x 12-1/8" Framed with a beautiful black matt finished wood The frame measures 1/2" x 1-5/8"